One of the most important decisions in the estate-planning process is determining who will oversee your estate and the trusts you create during your lifetime and after your death. Will you rely on a friend or family member? Your attorney or accountant? Or will your beneficiaries be better served by a “corporate fiduciary” such as a bank or trust company? As you weigh the pros and cons of each choice, here are three common misconceptions to keep in mind. #1. My family will lose control if I use a professional fiduciary. Appointing a fiduciary should bring peace of mind, not anxiety. EEA understands individuals worry about giving control of their family’s assets to a financial institution. As a result, we always strive to ensure our clients understand both our expertise and our level of commitment to ensuring your best interests are met. Serving as a fiduciary should be an “at-will” relationship. 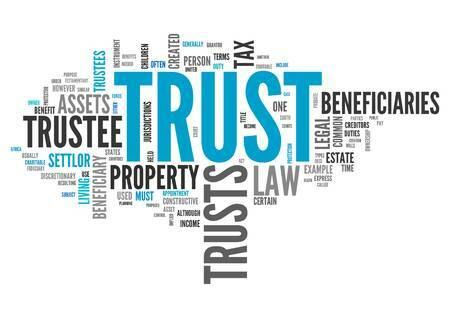 We actually recommend that trust is drafted in a way where you will always maintain the power to remove us and appoint another trustee if appropriate. We also welcome serving as a Trust Protector for families with co-trustees or co-executors and other trusted individuals acting in these capacities. In all cases we work to build strong relationships with families by respecting their wishes, avoiding bureaucratic processes and treating beneficiaries as partners in the administration process. 2. Professional trustees are expensive, and my son or daughter can serve for free. Serving as a fiduciary is work. It also is a source of potential liability: Beneficiaries can hold a fiduciary personally accountable if the fiduciary does not perform his or her duties properly. Because of the fiduciary’s workload and exposure to legal liabilities, in general, all trustees are entitled to receive “reasonable compensation” for their services. This applies whether the fiduciary is an individual or a financial institution. Fees may vary, depending on the size and complexity of an estate or trust, but the entitlement to compensation does not disappear when you choose an individual. Even when an individual fiduciary is willing to waive her right to compensation, there are other “costs” to be considered. There are sacrifices an individual must make, and often feels compelled to make, in order to find the time to perform their duties. There is also a variety of services an individual must outsource, at the expense of the estate or trust. An individual rarely has previous experience as a fiduciary or expertise in handling the investment, record-keeping and general administration responsibilities involved in an estate or trust administration. In the same regard, individuals do not have the benefit of accessible attorneys, portfolio managers or other experienced professionals that a corporate fiduciary such as EEA can access as various questions arise. Our fiduciaries are experienced, proficient and available when you need them. Finally, there is the unfortunate scenario we have seen play out on numerous occasions: a family member intends to forgo compensation and dutifully fulfills her obligations as trustee without a fee, often for many years. But then circumstances change. The individual recognizes the level of sacrifice she’s made or encounters difficulties in her personal finances, a beneficiary starts questioning the trustee’s judgment or notifies the trustee that she is being replaced. Compensation suddenly becomes an issue. Lawsuits sometimes follow. Lifelong relationships can be undermined. 3. My trustee has a good relationship with everyone and he will be able to keep the peace in our family. Serving as a trustee is a business relationship. There are definitely personal aspects to the job, but overseeing an estate or trust involves the management and distribution of property. In some circumstances, adding a business relationship to the personal relationships that exist among family members is not an issue. But in other circumstances it can be disastrous. Legal confrontations among family members are more common than many people like to think. For example, if a trust’s investment portfolio does not appear to be properly allocated, a piece of real property is sold to a related party (such as a trustee’s friend, relative or business contact), or distributions do not seem fair and equitable, the only way for a beneficiary to protect her interests may be to hire an attorney and, in some cases, file suit. Some of the most disturbing legal confrontations involve beneficiaries who suspect a trustee is not acting responsibly but are reluctant to speak up because they view the person as an authority figure or are afraid of damaging a personal relationship. In some of these cases, a family’s assets are compromised for many years before the beneficiary finally works up enough courage to take action. Sadly, it seems that the personal bond between a trustee and beneficiaries in these cases does more harm than good. Instead of relying on personal relationships, we would suggest that individuals who want to keep peace in the family look for a fiduciary who is competent, experienced, able to provide transparency and respects the rights of beneficiaries as outlined in the trust document and the law. At the end of the day, choosing a trustee is a personal decision. Depending on the complexity of your estate and the identity of your beneficiaries, an individual fiduciary may be the most appropriate choice. But it is important to consider the eventual experience of both the fiduciary and the beneficiaries. Will the fiduciary be equipped to handle the work and assume responsibility for a variety of time-consuming administrative and record-keeping tasks? Will the relationship between the fiduciary and beneficiaries create efficiency or engender tension? At EEA, our goal is to make sure your wishes are fulfilled, your legacy is preserved, and your beneficiaries remain harmonious with one another. Read our past article, “How to Distribute Assets to Beneficiaries” for some insight on the trust administration process, and the level of involvement that is required from the trustee to ensure it is done in accordance with the trustor’s wishes. It is critically important for you and your appointed Trustee to fully understand the duties and time commitment that will be required to serve this role effectively. Too often, we see Trustor’s appoint inexperienced family, friends, neighbors to serve as their trustee without a full understanding of exactly what they are asking of this person. Serving as trustee is a significant time commitment and risk for any individual, especially those unfamiliar with the process. Depending on the intricacies of your trust and experience of your trustee, you can expect the administration of your trust to take between 9 months to 7+ years in complex administrations that involve litigation. Much of this will depend on complexity of assets held in the trust and how the trustor wishes assets to be distributed to beneficiaries. Appointing an inexperienced trustee often leads to high-stress situations, poor decisions made on behalf of the trust, and increases potential for litigation between beneficiaries (which are typically loved ones and charities you care deeply about). With that said, not many valid points can be made in support of naming a family member, friend, or neighbor to serve as your trustee. Given the large amount of work/time that is required to serve this role, most trusts are drafted with language that entitles the appointed trustee to a fair and reasonable fee for their services (whether or not they do this professionally). If your appointed trustee happens to also be named as a beneficiary, this may bring concern from other beneficiaries as to whether trustee is acting in everyone’s best interest. For this reason, it is always a good idea to hire a neutral 3rd party professional trustee, it may be what saves your family from getting into any costly legal disputes. Most importantly, ensure your assets are protected by utilizing a professional trustee who is licensed, insured, and has the ability to be bonded. Choose someone who will not be burdened by the task at hand, or overwhelmed with grief/emotion when you lose capacity or pass away. The grief that accompanies these life events, can make it extremely difficult for children/loved ones to function through their normal daily routines. During this time, it will become obvious that hiring a professional trustee was the correct decision… The question is, do you care enough about your loved ones to take the necessary steps now, to ensure a stress-free and efficient trust administration process. SCHEDULE A CONSULTATION WITH A LICENSED TRUSTEE TODAY! Complimentary In-Home Consultations Available Upon Request! IRS Circular 230 Notice: Pursuant to relevant IRS regulations, we inform you that any tax advice contained in this communication is not intended or written to be used, and cannot be used, for the purpose of (i) avoiding penalties under the Internal Revenue Code or (ii) promoting, marketing or recommending to another party any transaction or matter addressed herein. You should seek advice based on your particular circumstances from your CPA, tax advisor, and/or attorney.